The SG+ PRO TECH SERIES sealer is designed for use by professional contractors and DIYers who demand excellent products, providing both the look and performance to exceed their customers’ expectations. 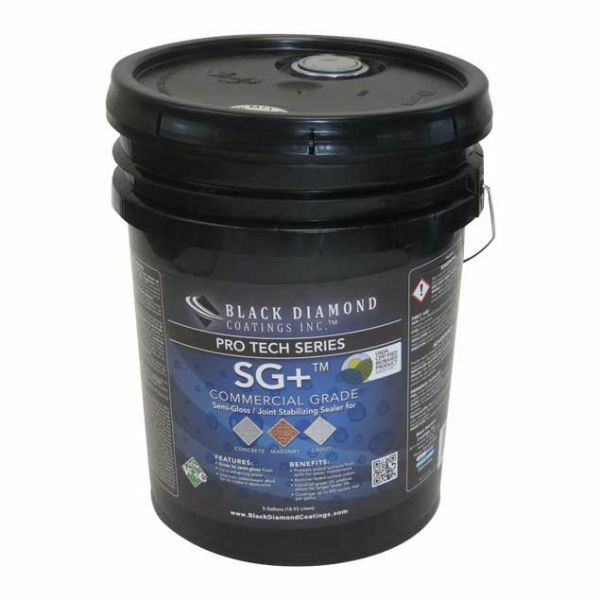 SG+ is a color-enhancing and joint stabilizing sealer that provides a semi-gloss to a glossy finish on masonry pavers and other concrete surfaces. This product is breathable and can be applied to damp surfaces. This sealer also contains an industrial grade UV additive to protect the sealer and surface from the damaging effects of the sun’s harmful rays.